Key Difference: SLR is the camera that has an automatic moving mirror system through which one can capture the particular image. The moving mirror manipulates, operates and controls the light that falls on the mirror. Digital camera is also known as digicam. They are the successor to the normal camera technology that no longer uses films. SLR and digital cameras are two different forms of camera. SLR, short for Single Lens Reflex, is the camera that makes use of a moving mirror through which one can capture the particular image. The moving mirror system manipulates, operates and controls the light that falls on the mirror. It has a marvelous shutter speed of 1/500 of a second or faster. SLR cameras tend to be very big and their lenses are moveable. It can also be changed according to ones preference. To capture the image from an SLR camera, one requires a lot of space because the body is much bigger. Basically, it’s all the lenses which play the vital role in SLR cameras. 5D, 60D, 100D are the lens types that are attached to the camera through which one can increase the quality of the image. 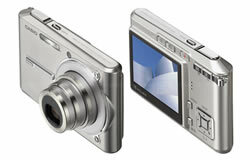 Digital camera is also known as digicam. They are the successor to the normal camera technology that no longer uses films. They are way more advanced and instead of being recorded in the reels, the images and videos are stored in a memory card inserted in it and are converted to digital information that a computer can use to create the image. Nowadays, digital cameras come in a wide range and almost all the brands include many varieties of cameras that a middleman can easily afford. The cameras which one finds on their mobiles, laptops, etc. are all digital cameras but none are SLR. SLR is the camera that has an automatic moving mirror system through which one can capture the particular image. The moving mirror manipulates, operates and controls the light that falls on the mirror. 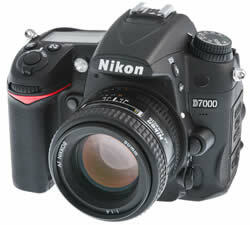 Digital cameras are the successor of normal cameras that no longer use films. Quality of SLR videos is movie like. The images which are captured give a professional look. Quality of digital camera is simple and do not give an SLR effect. Good for professionals or wants to make a career in the photography. Good for normal usage, such as family occasions, events, etc.